LAS VEGAS (CN) – After 27 days of trial and several more of deliberations, a hung jury forced a mistrial in the first of three federal trials involving rancher Cliven Bundy and his supporters. Federal prosecutors scored only partial success Monday as a jury convicted two of six defendants on several counts of conspiring to intimidate federal law enforcement during an armed standoff in April 2014. Co-defendants Richard Burleson and Todd Engel face lengthy prison sentences. They also face potential convictions on other counts during an upcoming retrial. Each of six defendants currently on trial is accused of 10 felony counts of conspiring to intimidate the Bureau of Land Management and federal law enforcement into releasing about 400 head of cattle owned Nevada rancher Cliven Bundy on April 12, 2014. The standoff occurred at an Interstate 15 overpass near Bunkerville, 65 miles northeast of Las Vegas and near the Bundy ranch. Eight women and four men deliberated for 5 ½ days before telling the judge during a 75-minute hearing on Monday they divided on virtually all other charges against co-defendants Richard Lovelian, Eric Parker, O. Scott Drexler and Steven Stewart. If convicted on all counts, each face up to 50 years in prison. The jury only reached unanimous guilty verdicts on eight counts against Burleson and two against Engel, who represented himself. No defendants were convicted on the first two counts of conspiring to intimidate the BLM and federal law enforcement. Burleson, who was once an FBI informant in an unrelated matter, was convicted for brandishing firearms to intimidate, obstruct and extort federal law enforcement. Engel was convicted on two counts of obstruction and extortion. In April 2014, the BLM sought to enforce a federal court order to seize any cattle owned by Cliven Bundy that were grazing on land controlled by the federal government. 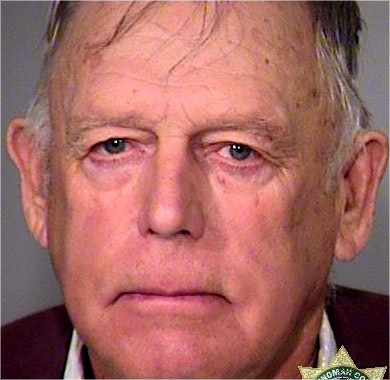 The agency says Cliven Bundy owes $3 million in unpaid grazing fees over a 20-year period. For his part, Cliven Bundy says the federal government has no authority on public lands in Nevada and cannot control them. Navarro ordered the jury to resume deliberations, saying it is normal for a jury to spend several days in deliberation on important cases – especially with six defendants on trial. She noted the jury had Fridays and weekends off, and went home early on two of the days they spent deliberating. With only five actual days of deliberations, Navarro said juror exhaustion is not an issue, and ordered the jury to resume deliberations. Some defense attorneys expressed concern that sending the jury back for deliberations might prejudice jurors against their clients. Navarro cited a duty to reach unanimous verdicts, if possible, but cautioned jurors not to compromise their “honest belief” just to reach a verdict. After further deliberation Monday, the jury reported it was deadlocked and Navarro declared a mistrial. She ordered a retrial for June 26, but the verdicts rendered will remain. Cliven Bundy, sons Ammon Bundy and Ryan Bundy, self-described journalist Peter Santilli and Ryan Payne are scheduled to go to trial about 30 days after the retrial of the remaining defendants and charges. Each of them faces 15 felony counts of conspiring to intimidate the BLM and federal law enforcement into releasing cows they had gathered into holding pens in the Nevada desert. If convicted, each faces up to 80 years in prison. Cliven Bundy also faces a $3 million fine for unpaid grazing fees. A third trial of remaining defendants Dave Bundy, Mel Bundy, Joseph O’Shaughnessy, Brian Cavalier, Jason Woods and Micah McGuire is scheduled to start about 30 days after the trial of Cliven Bundy and the others. Two other defendants, Gerald DeLemus of New Hampshire and Blaine Cooper of Humboldt, Arizona, pleaded guilty to reduced charges in August 2016.